Here is the full frame of successful Engagement Execution today. Our larger clients understand that they need to tackle the Engagement priority every month in order to grow profitably. It means one area of success informs better decisions on other strategies. Together we accelerate, and continue to outperform competitors by executing smarter than last quarter. On the other hand, our smaller clients recognize that they often fail to Execute consistently. So... we first help them with a commitment to solving this challenge once and for all. They must first choose the ONE PRIORITY that will drive revenue now. Once we talk it through, we eliminate common execution barriers that stand in the way of generating the profits needed to fuel growth. Every week we talk through smart process, how to launch, and how to keep execution simple and within your means. Airways360 supports three keys to revenue growth. This is the heart of your action plan. This is your strategy. This is what is in your control. Do you wonder how to be sure that you can launch ONE unified effort that will make a lasting impact? There are fancier words for these strategies, so we’ll confirm what we ARE doing and what we are NOT DOING. Does this involve Website revisions? Email Marketing? Social Media? SEO? Programmatic? Marketing Automation? Sure, but it’s vital to adopt the right plans in the right order. Done right, your customers will feel seamless customer service as a prospect and LONG after a successful sale as a happy customer. We’ll establish WHY some strategies and tactics may have been hard for you to manage in the past. Then we’ll design and executing what works now... using clear plans and language we all understand. After we’ve laid a solid foundation in the first critical areas, then we can grow into more advanced efforts. We can’t rush, or your strategy will be underfunded, or understaffed, or both. 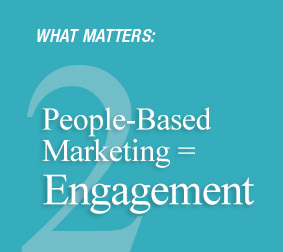 We must earn the internal support to be as effective as we can be to bridge marketing, sales and customer service. We’ll show you what causes these programs to succeed, and what keep things from going sideways.